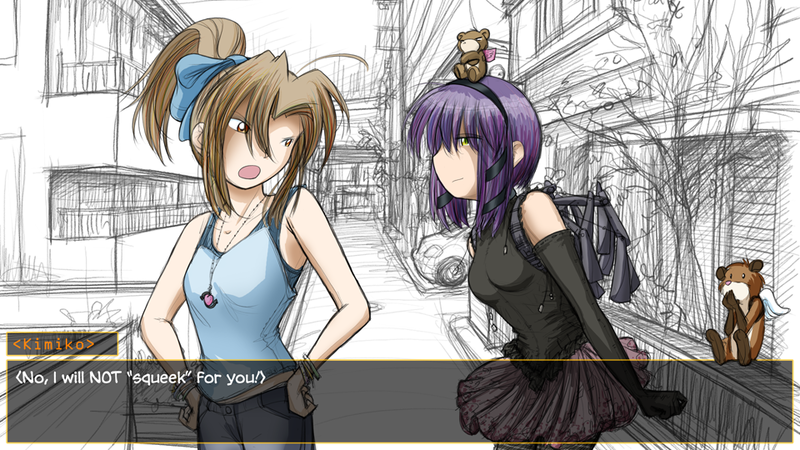 It has been another slow couple of weeks for work on the MegaTokyo Visual Novel. Fred’s mother continued to struggle with her health, and that understandably took time away from both the comic and visual novel. It sounds like things are looking up, so we’re hopeful that VN work will be back in gear again soon. One positive thing that did happen recently was that we have officially moved to Shad0w’s Renpedit tool for the visual novel script development. 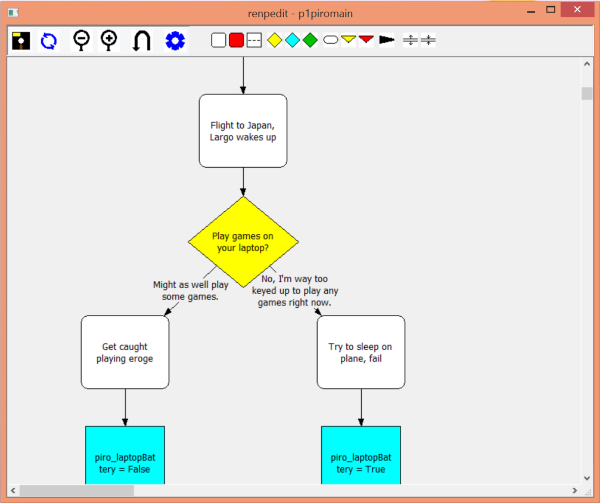 It provides a nice flowchart style organizer for the script, and makes managing the numerous story branches much easier. This entry was posted in Visual Novel on July 4, 2014 by paarfi.